Mother Superior Joseph Caroline Beutler of the Little Sisters of the Poor is based at St. Martin’s Home for the Aged in Catonsville, Md. BALTIMORE (CNS) — Apparent good Samaritans turned out to be nothing of the sort after allegedly stealing Christmas presents from two Little Sisters of the Poor outside the Costco in Columbia near Baltimore Nov. 26. Mother Superior Joseph Caroline Beutler and Sister Bernadette Mary Wilson, who care for the elderly poor at St. Martin’s Home for the Aged in Catonsville, were taking advantage of holiday sales to purchase $510 worth of items, including blankets and socks they intended to give as gifts to the employees of St. Martin’s at an upcoming Christmas party. At approximately 5:15 p.m., Mother Joseph Caroline said, they were approached by a man who offered to help them outside the store as it began to rain. Accompanied by a woman Mother Joseph Caroline described as “very nervous,” the man pushed their carts and loaded packages into the Little Sisters’ car in what the sisters assumed was a gesture of goodwill. Sherry Llewellyn, director of public affairs for the Howard County Police Department, said a police report has not been filed, but an investigation has been opened. “We have not seen a trend of incidents like this,” she said. 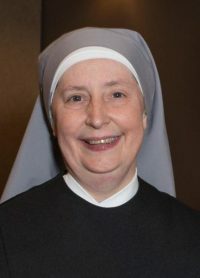 Marcy Shea-Frank, director of development for the Little Sisters of the Poor, said the sisters were notified by Costco officials Nov. 27 that a flatbed of merchandise believed to have been purchased by the sisters was found on the store’s property. It was not in the same location as where the sisters were Nov. 26. Mother Joseph Caroline believes the alleged thieves had a change of heart or decided they didn’t want the items after they saw what they were. Mother Joseph Caroline said she is grateful that no one was hurt during the incident. She noted that after the sisters realized they had been scammed, Sister Bernadette Mary wanted to go back to the site to find the suspects. Mother Joseph Caroline said the sisters forgive those who allegedly robbed them, noting that they continue to believe in the goodness of people. Mother Joseph Caroline hopes to raise awareness for the elderly and others who may be vulnerable while shopping.